Auction Tickets/Tables Now on Sale! As you have already heard our annual auction this year has a fabulous new theme…Mad Hatter! We are very excited for the new ambiance and surprises we have in store for everyone!! This is our biggest fundraiser of the year and all proceeds go back to the students, teachers, and school needs. What could be better than auctioning off great items, including vacations, concert tickets, and fantastic goodie baskets!!! To go along with this auction, is a jump down the rabbit hole into an incredible dinner and onto the dance floor!!!!!!!! You may also purchase tables and individual tickets in our school offices next Tuesday. Please note that table purchases are on a first come, first served basis. 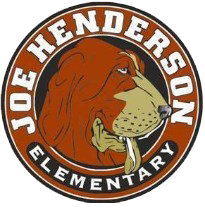 We would like to thank all of our wonderful Joe Henderson and Robert Semple families for your amazing support of this great event!! !